KontoFX is a cryptocurrencies broker. 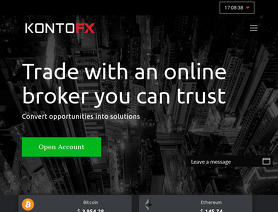 Konto FX offers the Web-based forex trading platform. KontoFX.com offers over 45 cryptocurrency pairs and cryptocurrency CFDs for your personal investment and trading options. they are the same scam as before KAYA FX both started as Gammatech Services but after the official warning Gammatech was marked as a scam, and they simply changed the names on both there are still the same people behind who are using the exact same tricks. asking the clients to download any desk( a program to remotely operate a PC saying to explain the trades better ) also the copy from the credit card both sides, if you have the small code on the back you can start to withdraw money or buy things! and with any desk, they have a lot of personal information to use for there own profit. The FCA blacklisted them for good reason and don't fall for the faked Trustpilot reviews as a company you can report reviews for any reason and they are doing it with everyone who speaks the truth and publishing many new ones so you don't see the reported ones at first. 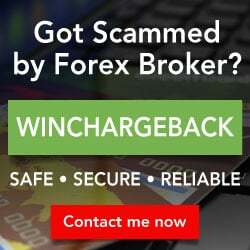 If you are having problems getting refunded by KontoFX and you paid by either credit card or debit card don't bother calling them, just go straight to your bank and ask to report a fraud. If enough unhappy customers do this they will get their Merchant's Licence revoked as they just can not be trusted with your money! BEWARE!!!! I got contacted by Kaya FX 2 weeks ago the person called herself Christina she told me that they are now in charge of the clients from Kaya FX and want to fix the problems that, she wrote me an email using the name Vivian Pears from Konto FX later she replied from another account as a Christina Christ I wanted my invested funds back and she said its fine and will be there in the next days but nothing so far. on the second call she found excuses why I did not get anything so far and wanted me to download any desk to "explain what happened to my account and in case they need fast more money on the account " that is exactly the same schema Kaya used to steal directly money from the investors and also to get hold of personal data so that is a big no go, do not allow anybody to use any desk on your computer !!!! I did some research and they use even part of the same mailbox address kaya is using in Estonia the only difference is that they use now some offices in Hungary where I am sure it is also just a mailbox. I will keep you up to date what happens next with Konto FX also I got the calls recorded if you want to message me and I can publish them.